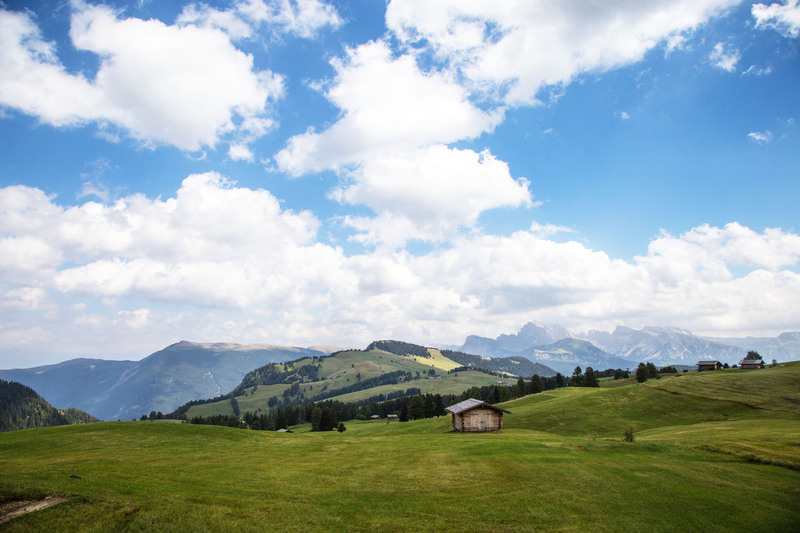 One of the most beautiful places in Trentino Alto Adige is undoubtedly the Alpe di Siusi. 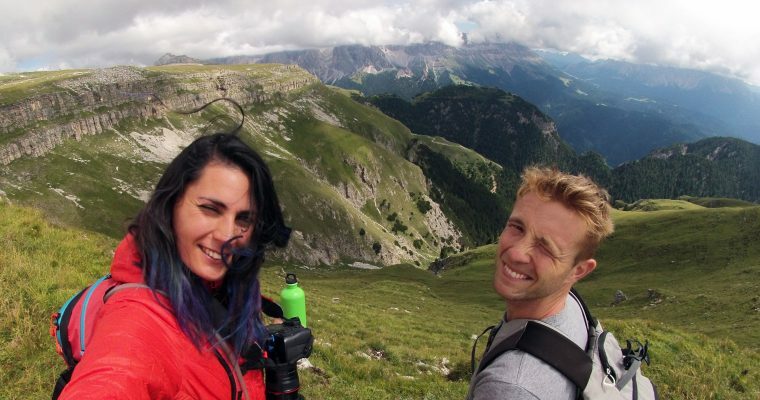 Read about the nicest hiking trails to do, look the amazing photos and follow my trip on the largest plateau in Europe. The Alpe di Siusi plateau consists of 56 square kilometers of meadows, hills, shelters, lakes and trails where you can do by walk, bike or like us with Giorgino our cool cool dog! GUEST POST FOR ” CAMPING FOR WOMEN” read the original post here! 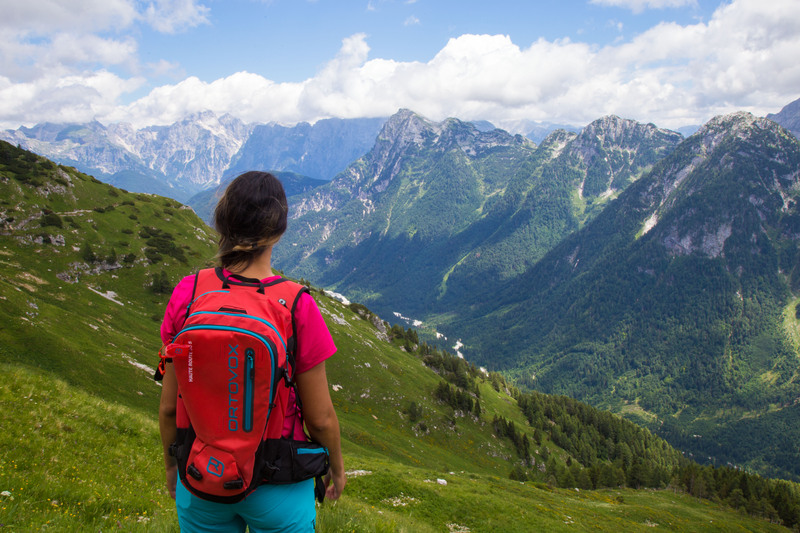 If you are a trekking lover, the north of Italy with its thousands of trails is the ideal place to go. 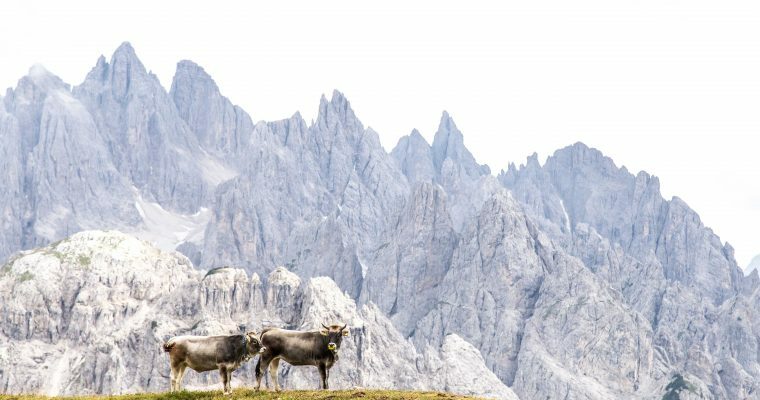 Whether you decide to go trekking in the Alps, Dolomites or Friulian Dolomites, the scenery will always be spectacular and full of pleasant encounters such as deer, eagles, marmots, cows and goats… and yes! Sometimes you can find bears but is very rare to meet them. In Italy the flags to follow in the paths are white and red, and usually very well marked so don’t worry and always follow the rule n.1 “never leave the path”. 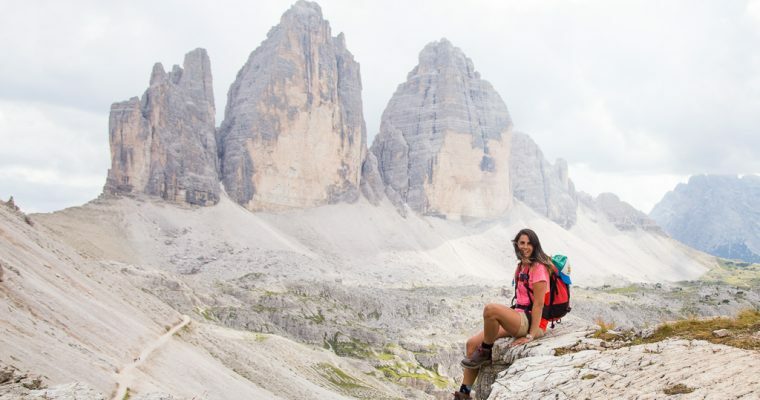 In the middle of the less known dolomites an incredible 4-day trekking that reaches the Pacherini, Pordenone, Padova and Giaf shelters where to sleep and refresh yourself. You will cross the wonderful and wild valleys of the unknown groups of Pramaggiore, Monfalconi, Spalti di Toro and Cridola. Prepare yourself on high altitude walks, to the overcoming of many forks at several meters in altitude more than once a day, to equipped paths and the trek along the beautiful gentian trail and under the symbol of this region: the “Campanile di Val montanaia”. Breathless. The Passo dei Scalini Trail is located in the Western Julian Alps and is part of the Jof Fuart group. Starts from Sella Nevea at 1180 m. and arrives at the passo of the Scalini at 2022 meters in 3 hours between woods, alpine huts where the cheese is produced, waterfalls and high altitude views. Carrying on you can arrive at the Corsi Hut at 1874 meters. This shelter is an amazing red building totally surrounded by a semicircle mountain range and hundred of rock goats. The walk is not so difficult but long so if you are not trained for this when you arrive at the top turn yourself and come back.